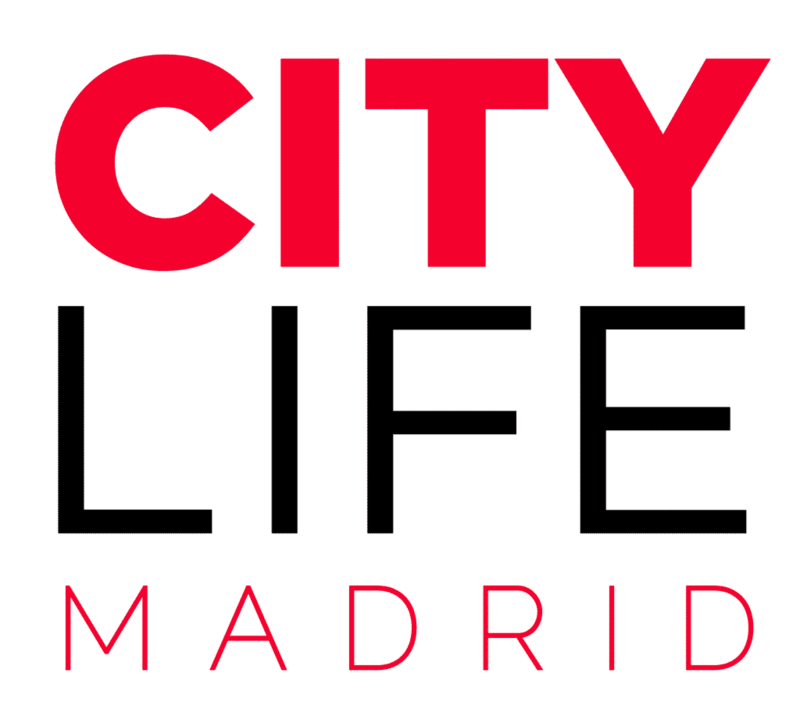 Surrounded by all the beauty of Madrid’s streets, it is all too easy to overlook the sights we breeze by on autopilot. There is beauty where we least expect it, in fact, it’s right below us. 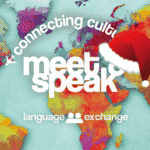 The metro that tends to become a normal part of life harbors more culture and sights than one would imagine. Murals, museum exhibits, paintings, and more surprises hide under the busy streets above. So the next time you’re on the metro and aren’t in a rush you might want to check out these fascinating underground stations. 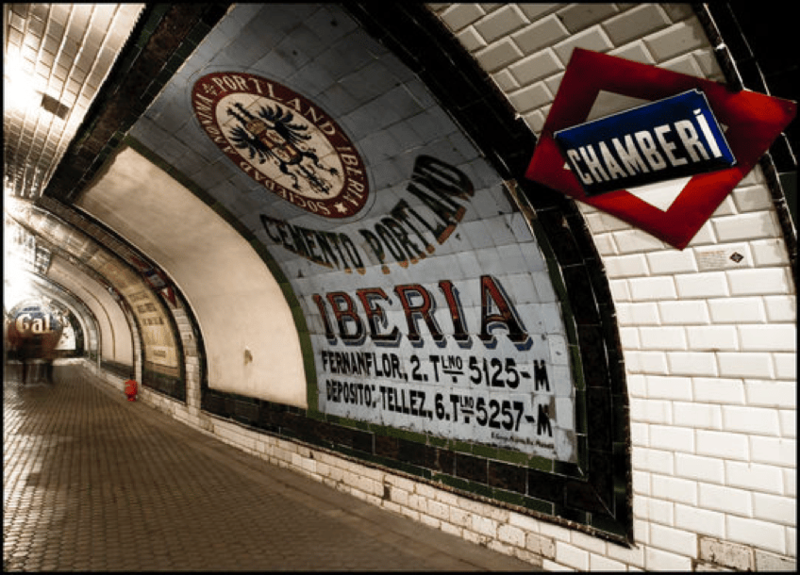 It shouldn’t come as a surprise that Madrid’s oldest history is underground. 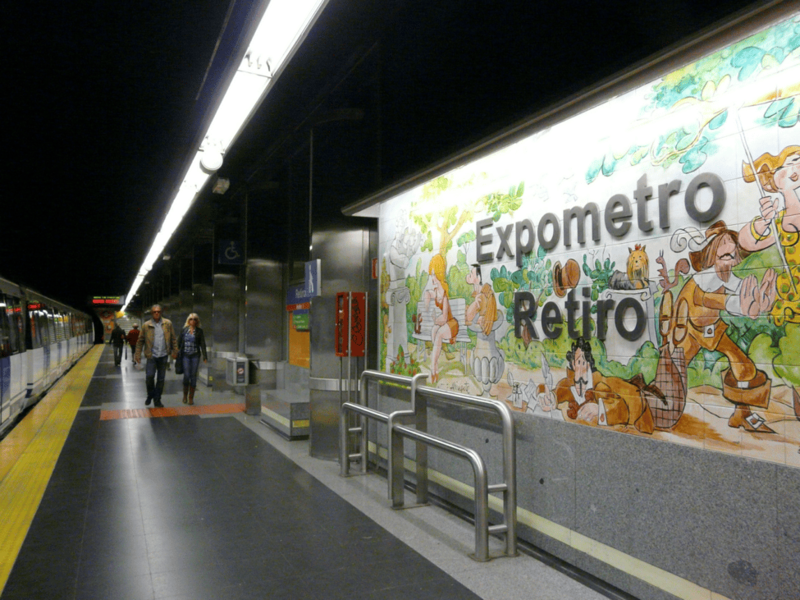 At the Carpetana metro stop there is 15 million years of history in the form of archeological deposits. 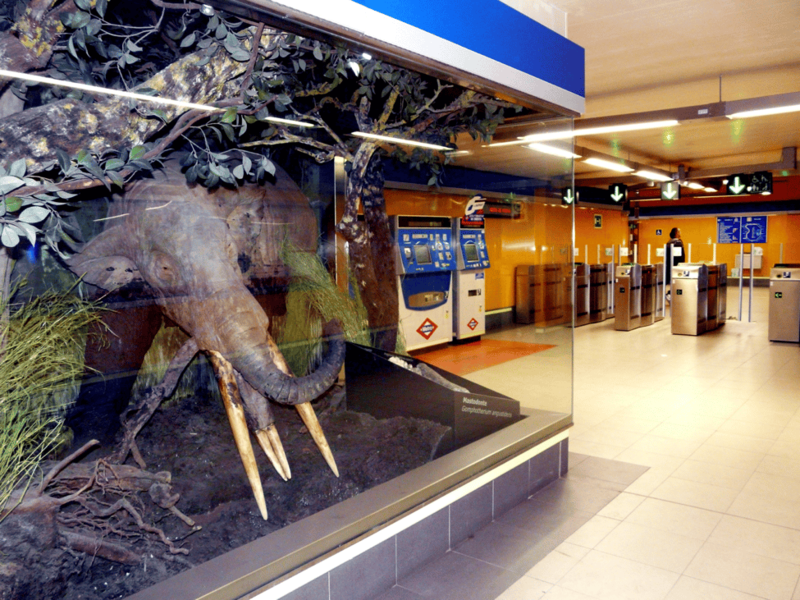 Scattered throughout the station there are a potpourri of fossils ranging from ancient dinosaurs to giant tortoises. There is even a replica Gomphothere (Huge a$$ elephant) from the Miocene Epoch. Spain loves artist Francisco Goya and so do we! 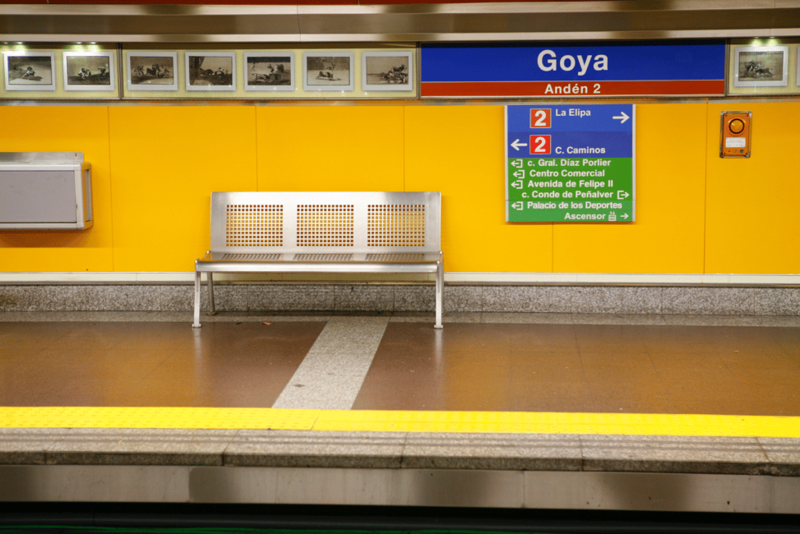 Estación de Goya rightfully takes second place in this ranking because the history in this station is visible immediately upon entry. From the metro cars one can see the 70 replicas of the artist’s original works. The surrounding neighborhood also has dedications to the artist and is located near lots of shops and restaurants. 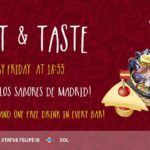 Named after the Spanish revolutionary who helped secure Spanish independence from the French Crown, Principe Pío is one of Madrid’s oldest train stations which has its hidden gems. Not only does the station blend old and new architecture together, but it also has its own fossil collection including the jaw of a Rhinoceros that’s 14 million years old! Conveniently, the station is near one of the best malls in the city. 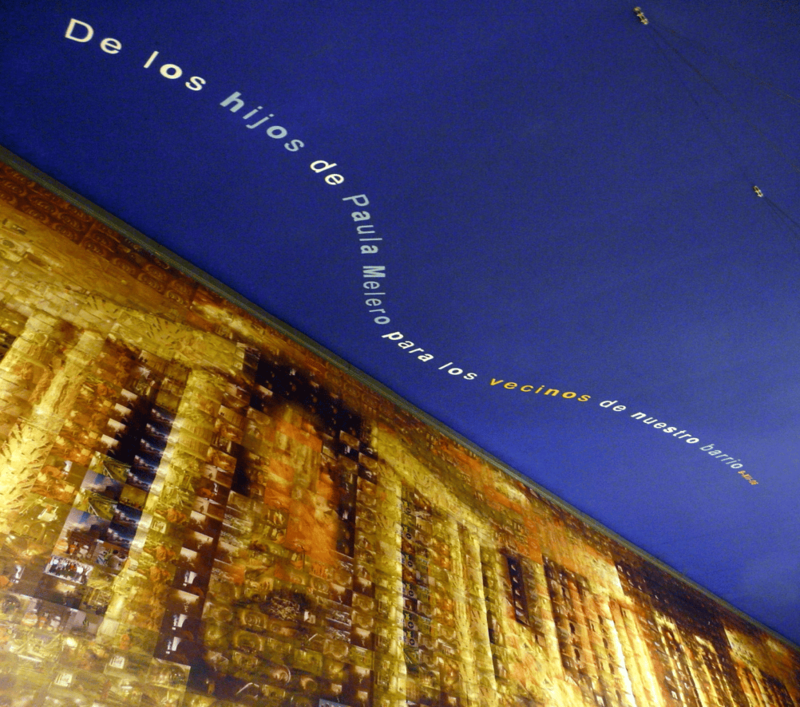 Located in the heart of Madrid, Ópera is known for the art and history it shows above the station. 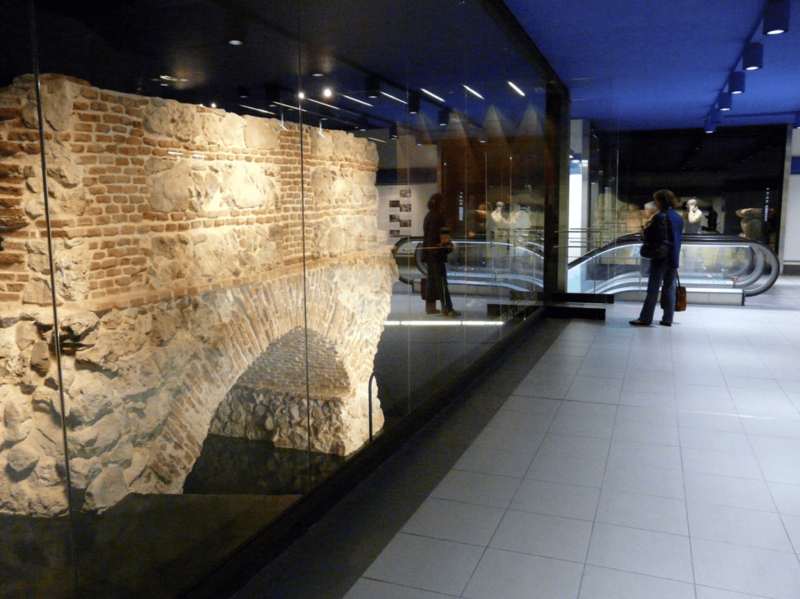 However, not everyone knows that underground in the station one can visit the remains of “Aqueducto de Amenial” (Amenial’s Aquaduct” which was constructed during Felipe III’s reign. The entrance to see the aquaduct is in the station, and is free on the weekend between 11:00-13:00 and 17:00-19:00. 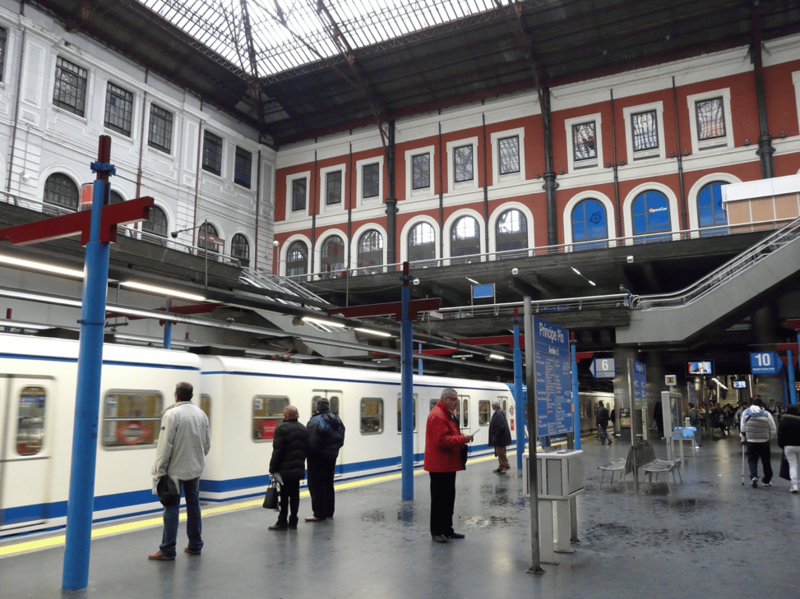 Coming up at number 5 on the list, the Retiro metro stop is one of Madrid’s oldest stops (1922). With a convenient location, the stop features the works of the famous Spanish drawer Antonio Mingote. The mural, constructed by Mignote in 1987, depicts a typical scene at Retiro is characteristic of his drawing style by unique faces and cartoonish features. 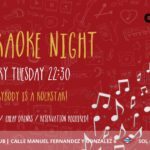 While it is well more than a stepping stone away from the center of Madrid, Carabanchel Alto is the the result of a neighborhood that fought and continues to fight for more city-services including an expansion of its line planned for 2023. A design was placed at the edge of the tunnel saying “To Everyone who worked to make this a better neighborhood”. The station is also one of the few to have a Bibliometro. 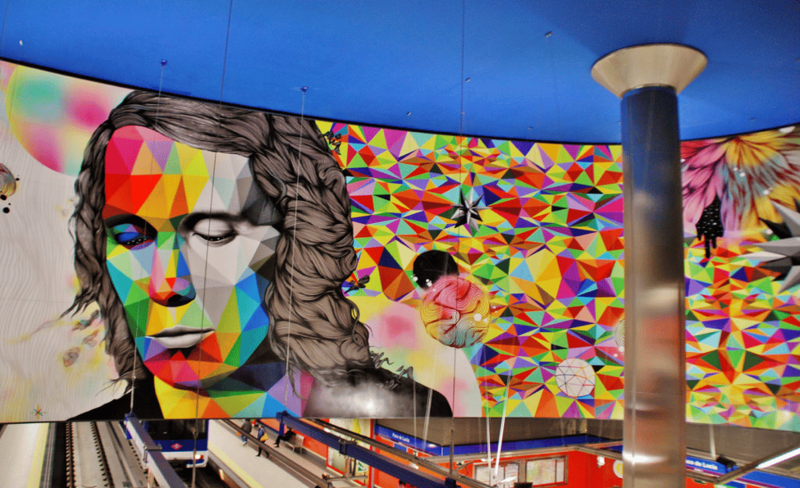 When the famous Spanish flamenco composer Paco Lucía passed away in 2014 not only did the city rename the metro station after him, but they also contracted well-known urban artists Okuda and Rosh333 to design a work in his honor. Lighting up the station with its vibrant array of colors, the mural is by far one of the best modern works of Madrid and definitely a must-see. 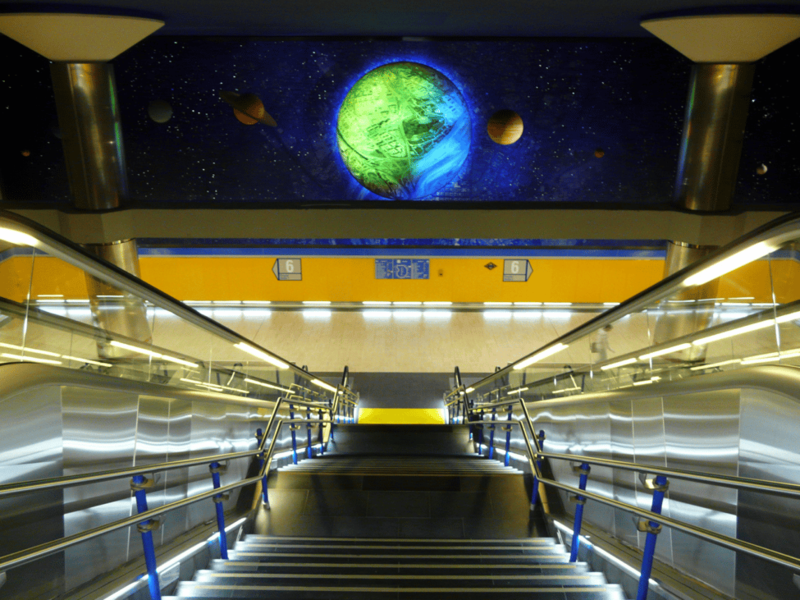 Located in the north of Madrid, Hortaleza’s new metro station mural is a testament to the work that goes into building a train tunnel photo by photo. Two brothers designed the mural which is a mosaic of 3,796 graphic drawings of the construction. 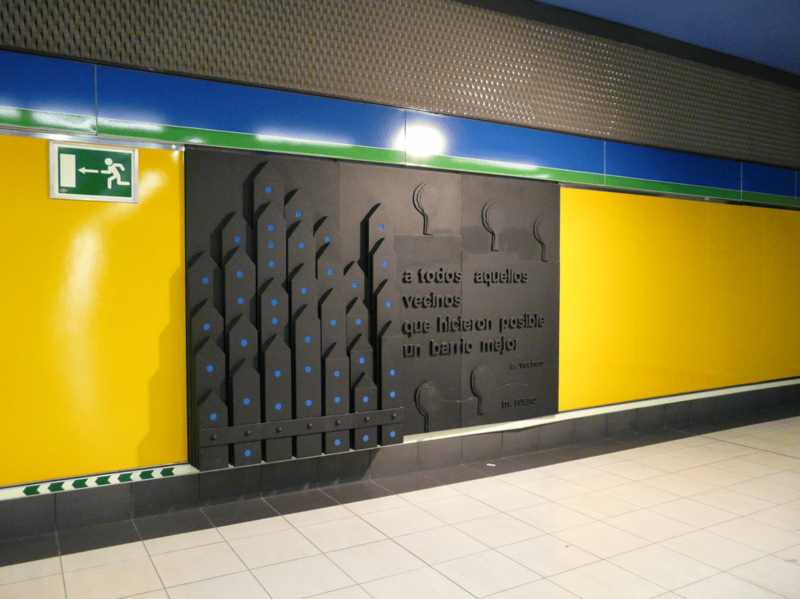 The mural is ultimately a beautiful example of Spanish collectivism and the effort to make Madrid’s communal spaces appealing. Star-gazers be alert! Arganzuela-Planetario, staying true to its name, boasts a huge mural inside depicting an artist’s rendition of the solar system. It isn’t by causality that the metro stop is located next to Madrid’s only planetarium and IMAX theater, which are both worth a visit. 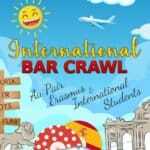 In the 80s Madrid’ pubs and bars were bountiful in the Argüelles neighborhood, and today the area is full of university students and thriving culture. 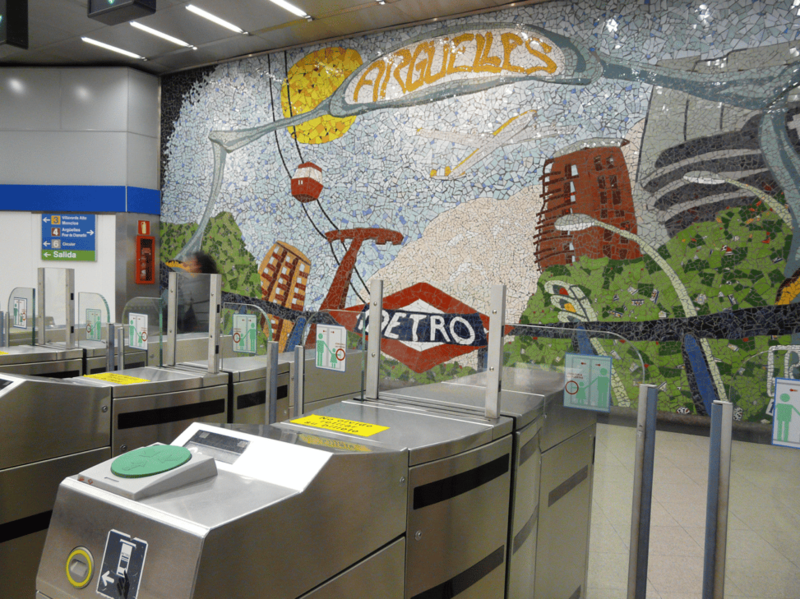 The mural right at the front of the station illustrates the surrounding neighborhood with Avante garde style. 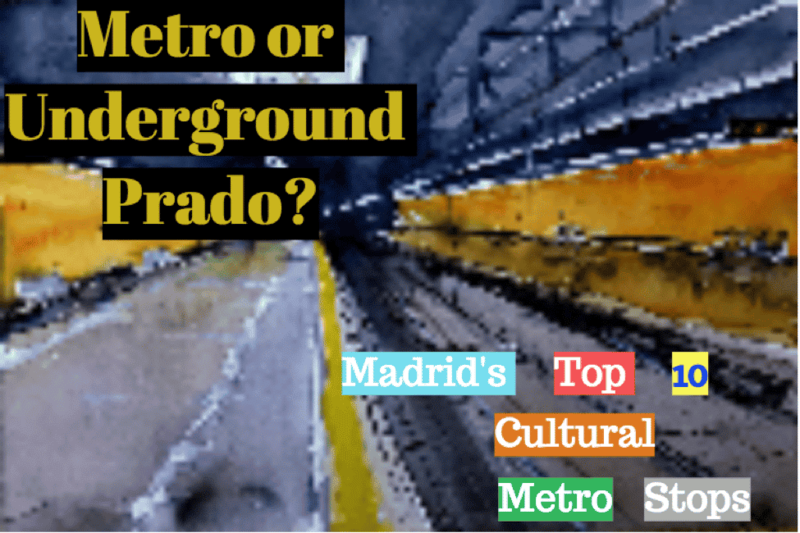 Although it’s not currently an operating Metro Station, Madrid’s “Primera Parada” is now a museum that is free on Saturdays and Sundays. The station is an ideal point of reference to see how the metro has evolved from its 1919 to its current form. Check the hours online before coming and be prepared to be blown away by the history of the ancient station.